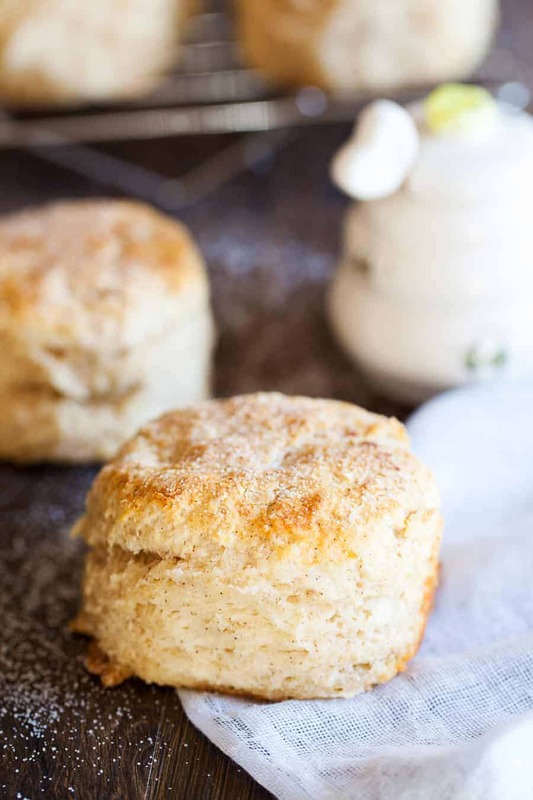 Cinnamon Biscuits are lightly sweetened biscuits infused with cinnamon flavor and topped with a light crust of cinnamon and sugar. Delicious all on their own, but incredible with a smear of honey butter. Flaky, buttery biscuits are a breakfast favorite around here. BUT have you ever had a sweet biscuit? 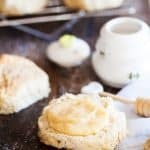 Give these cinnamon biscuits with honey butter a try and they will become your breakfast favorite. Have you ever been to one of those restaurants where they slap a bowl of bread on the table and a tin of butter? You take your bread and smear on a healthy slab of butter and take a bite and are instantly transported into some sort of euphoria because the butter is sweet and you just broke all the rules and had dessert before supper. Have you? This is what you can expect. You will honestly think you are biting into a soft, fresh from the oven cinnamon and sugar donut. The flavor is so delicious, but do not be fooled, these biscuits are not fried!! Since these babies are covered in cinnamon and sugar, obviously my kids love them. They are a really nice alternative to regular biscuits. You can use them as a pre-dinner appetizer, a snack, or with breakfast. We love them with a cup of coffee in the morning. Pre-heat oven to 450°F and grease an 8-inch cake pan. baking powder, 2 teaspoons of sugar, ½ teaspoon cinnamon, and salt. Cut in the butter using a pastry blender until crumbly. Add the milk and stir until a dough forms. Transfer the dough to a floured surface and using your fingers, pat down into a 7-inch disc. Use a round cutter to cut dough into rounds and transfer to the prepared cake pan. Bring together any leftover dough scraps and repeat. In a small bowl, combine the remaining 1/8 cup sugar and remaining ¼ teaspoon cinnamon. Sprinkle over the biscuits. Bake for 14 to 16 minutes, until golden. Let cool slightly in the pan before serving. While the biscuits are baking, make the honey butter by stirring together the butter and honey. Serve with warm biscuits. 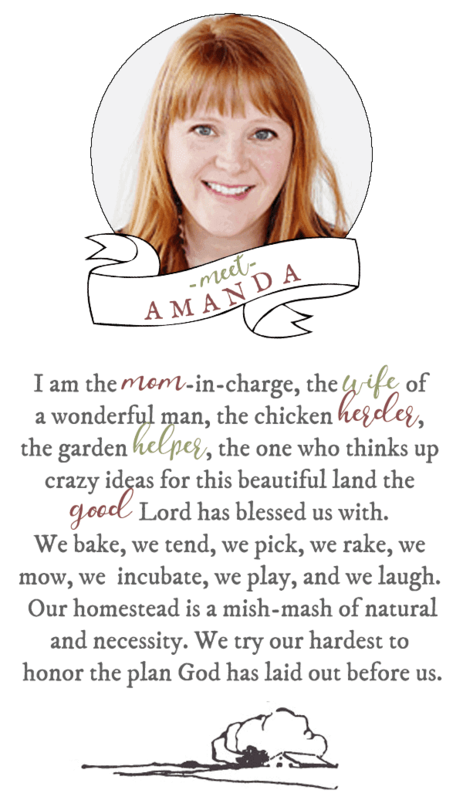 Adapted from Butter with a Side of Bread. Photography by The PKP Way. 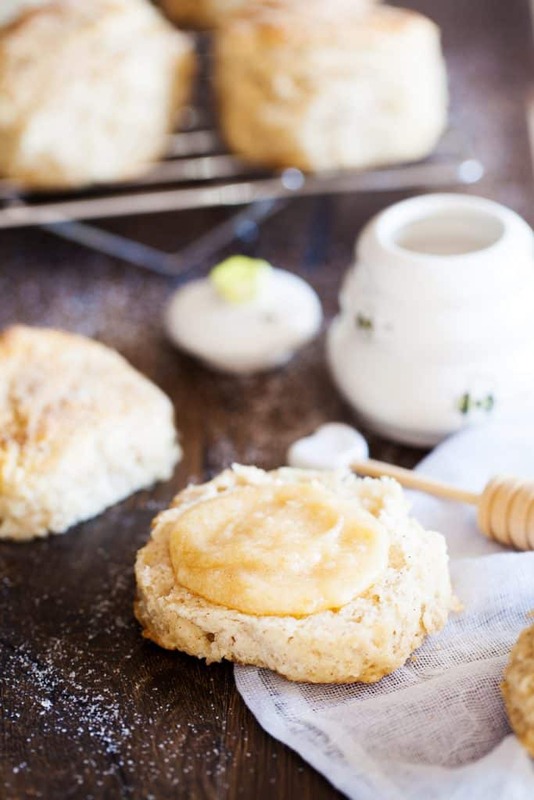 DID YOU MAKE CINNAMON BISCUITS WITH HONEY BUTTER? simple but still looks yummy!